and light it with thy love. from thy heavenly home above. washing pots and pans and plates. and make them heaven sent. 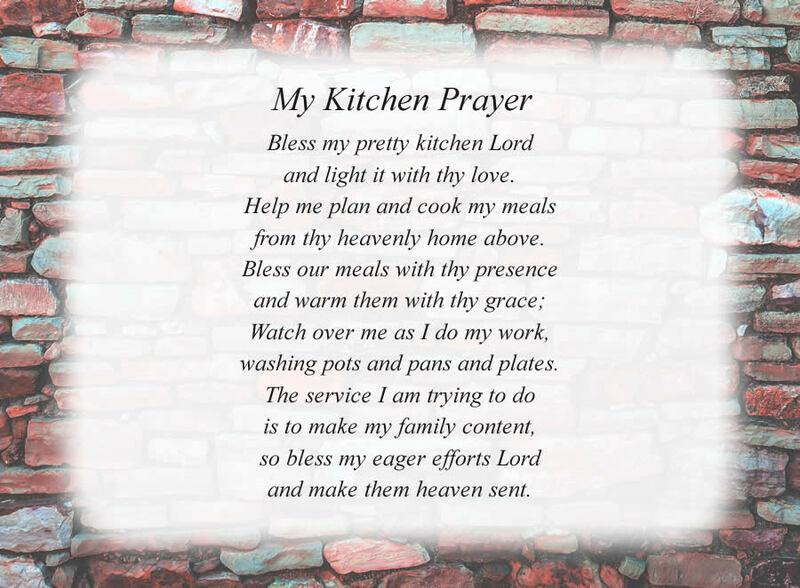 The poem, My Kitchen Prayer, is free and printable by opening or downloading using one of the three links below. One link is for the poem with the Colored Brick Wall background as shown above. The second is for the poem with a plain white background. The third link is for the Colored Brick Wall background without the poem, in case you would like to print a different poem on this background.